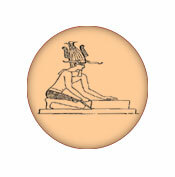 Above is an Egyptian hieroglyph of Queen Hatshepsut making a mud brick. Above left, modern machine pouring of adobes at the Adobe Factory site. Above right, lifting the form for the horno brick by hand.